Get a load of our first local release from our new home in east LA: native Angeleno 4-piece Feels and their debut self titled LP. Slanted scuzzy guitar interplay, a little grrlish swagger, flashes of raw emotion and a cement chip of punk attitude propel these songs directly to your dome and down the brain stem. Kinetic, omnivorous, and easy to get stuck in the noggin, Feels has charm and grit to spare and is pushed deeper into the red, weird wilds by Ty Segall’s home-cooked production. 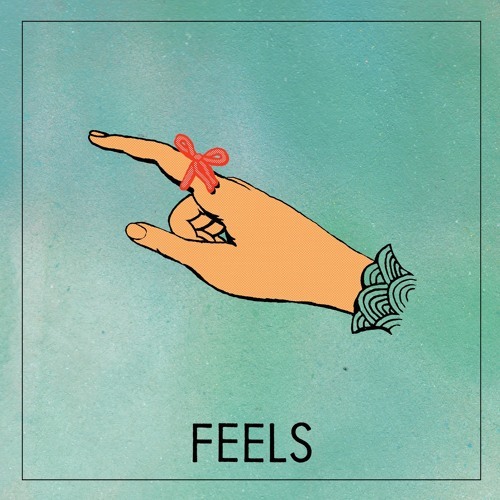 Feels will hold your hand and jump off the cliff with you, and it’s out on Castle Face Feb 26th.